My song “23.976p” was selected in the Wikipeli contest and it appears two times in the colaborative film “Universos” (La Wikipeli de Mahou). 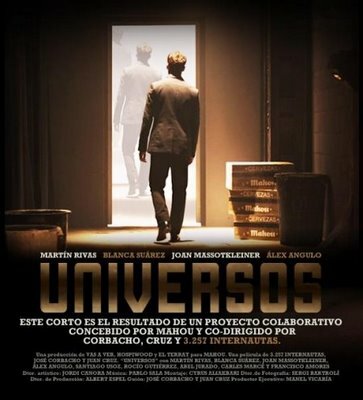 “Universos” is a short film made via internet for over 3000 people. The people voted and suggested ideas, anyone could contribute with their imagination and I decided to create an experimental theme specifically for the film. Hundreds of songs were sent to participate and I was lucky to be chosen. My small contribution appears in 2 moments of the film (8’20” and 13’48”) . 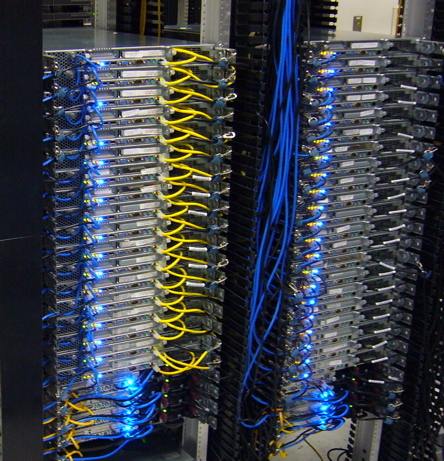 The sound is not very good and that is because in the edition, the technicians used my demo. Today, I still wondered why no one asked me about the master file. Anyway, I am very proud to have participated. Thanks to José Corbacho and Juan Cruz for this opportunity.